Walking on clouds? Did you even think this was possible anymore? With the influx of shoes that focus offering the look rather than the feel it's become so hard to find a pair that hits the mark on both of those elements. I can now assure you that floaty, bouncy feeling is possible and I have discovered a lightweight, flexible, cushioned pair of sneakers that literally have me walking for hours on end. Want to hear the best part? I didn't even need to break them in! And, talk about chic... they have metallic gold detailing! 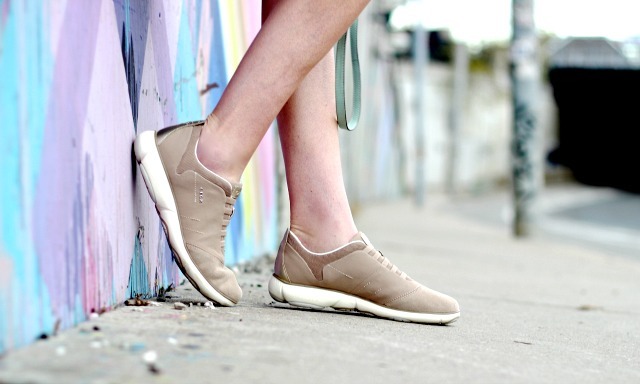 The Geox Nebula are made for those of us on the go. Perfect for travelling, endlessly walking all over town or just getting stuff done! They fit like a glove, have a unique sole that's cushioned and allows for stability and a strong grip, and the inner lining has breathable gaps which allow for excess heat to escape (yet they are weather protective). I recently got the chance to pick up a pair and haven't stopped wearing them since. I was sold on the taupe because the gold detailing was too good to pass up, but they come in a variety of colours (so close to getting the floral pair!) and materials. Hi, black leather!! The other night we hit up Pizzeria Defina in Roncesvalles (amazing meal, btw) for date night and I couldn't resist pairing them with this outfit. I love that they look great with anything-- leather leggings allude to a casual, street style vibe, skater skirt for a sporty/playful date night, and boyfriend jeans for weekend errand running. You need to get in a pair and feel the technology of these shoes. #StartBreathing with Geox Nebula and you won't be able to stop! What do you think of this sporty date night look that pairs a mini skirt with sneakers? Totally retro, right? It's going to be on heavy rotation this summer! 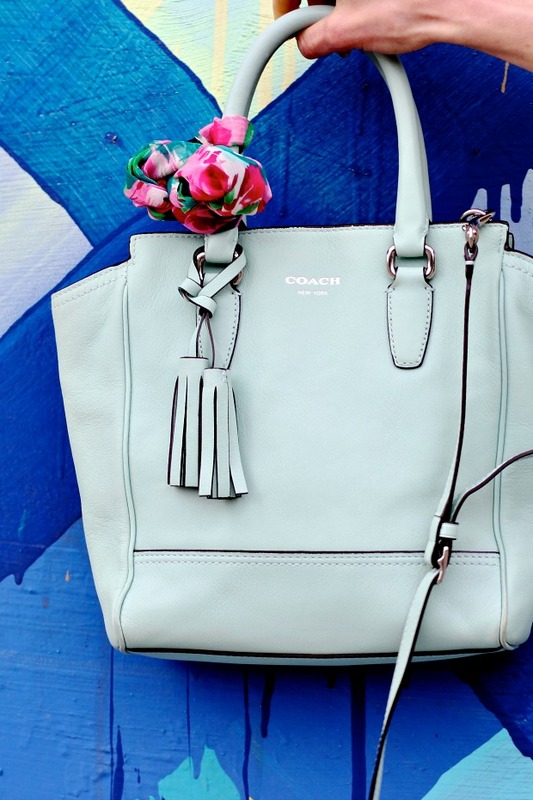 You'll notice my favourite Coach mini cross body had to make an appearance for a pop of colour, too. This post was sponsored however all opinions of the Geox Nebula are my own. Seriously-- love em!! I'm loving the sneaker trend lately. 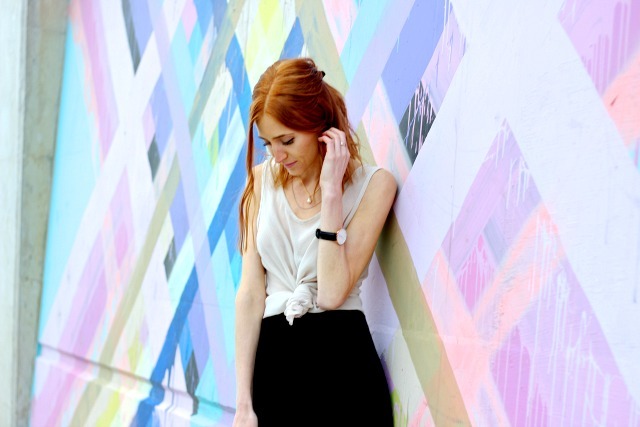 Your knotted top/skirt combo is perfect! Head to toe fab! Love this look! Have a fabulous weekend! those sneakers are the cutest! Nothing is more important than your child's footwear. When it comes to purchasing footwear, you know you can't go wrong with Geox. Italian made, patented respiration system, simply great shoe for your child to start with.I find a website for the Lightweight Walking Shoes. If you want you can visit this site.